Third Party Patch Management natively extends ConnectWise Automate so that you can begin auditing, patching, documenting, and even billing for third party application updates. Use ConnectWise Automate's Patch Manager to define policies that set update and install options for your end users. All third party patch definitions are automatically downloaded from ConnectWise daily to ensure you always patch to the latest version. 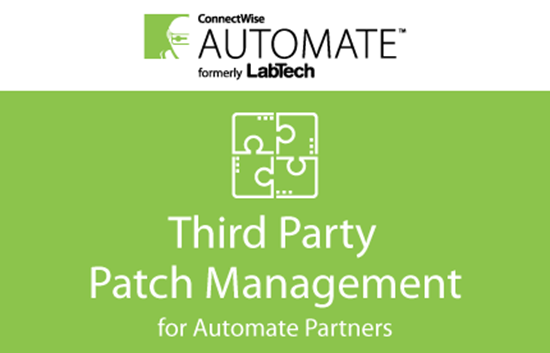 By leveraging all of the automation options available in ConnectWise Automate, Third Party Patch Management reduces administrative tasks and allows technicians to focus on exceptions only.